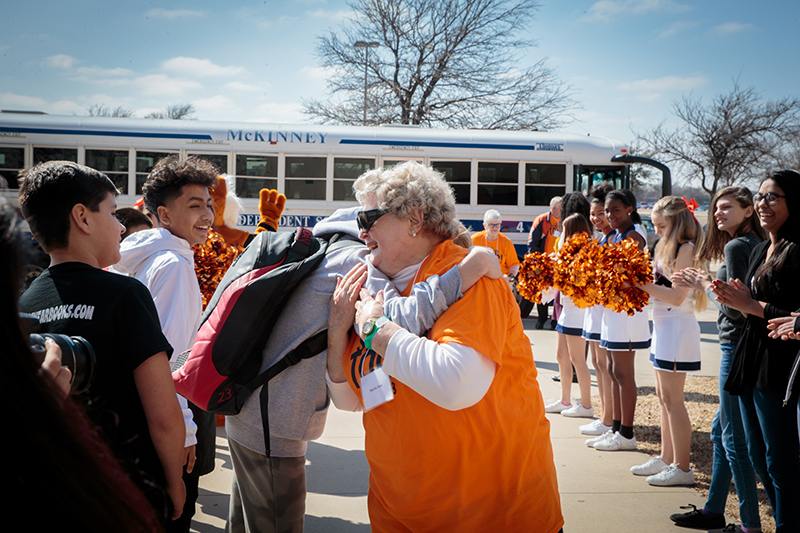 McKinney, Texas – They arrived to cheers and fanfare—and drum lines—and waded into a sea of smiling kids who offered high fives and hugs. 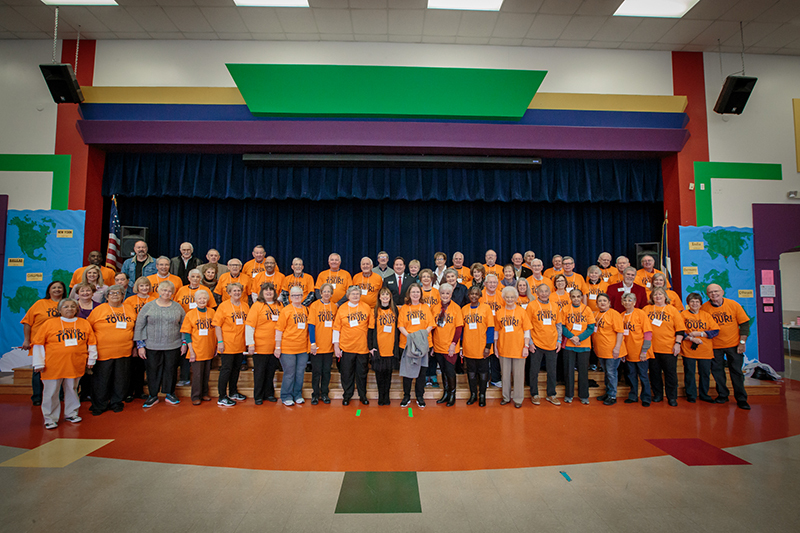 February had arrived, and that meant that it was time for the McKinney ISD Senior Adult Tour. 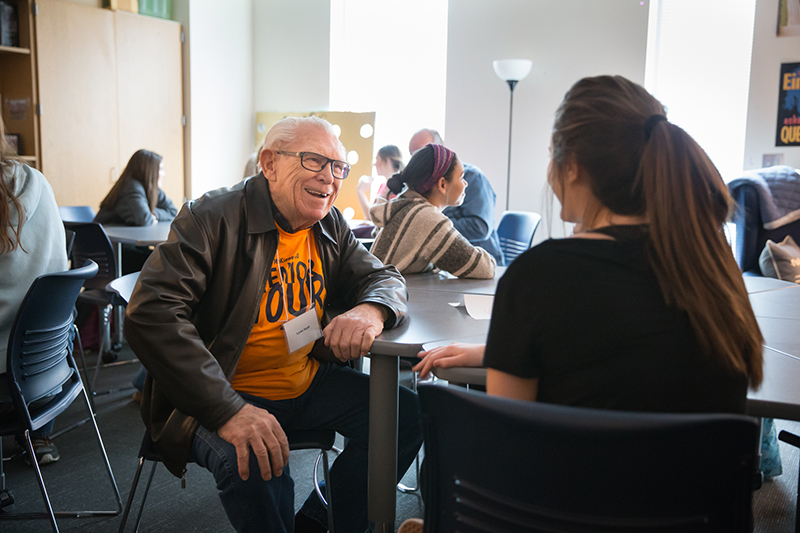 Over the course of eight years, it has become a much-anticipated day of fun and discovery for the 70 or so senior adults who take part and for the students who get the chance to showcase their schools. 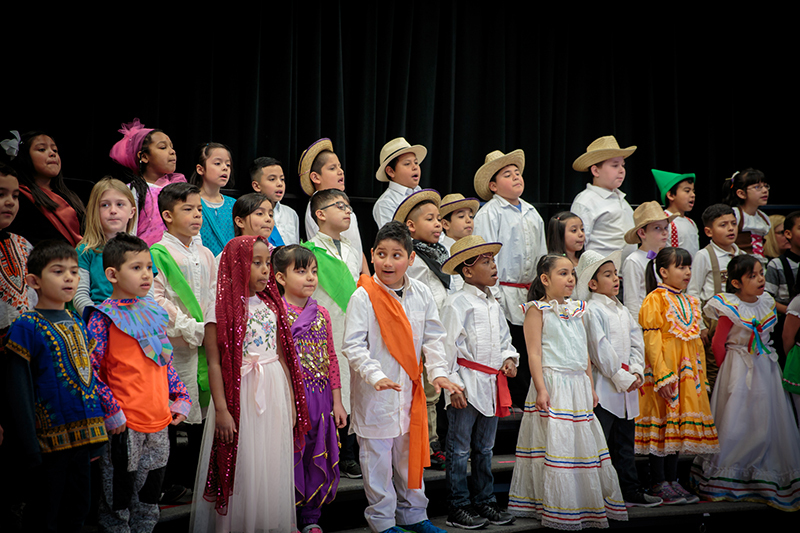 Finch second grade students presented a multicultural dance for the 2018 Senior Tour. 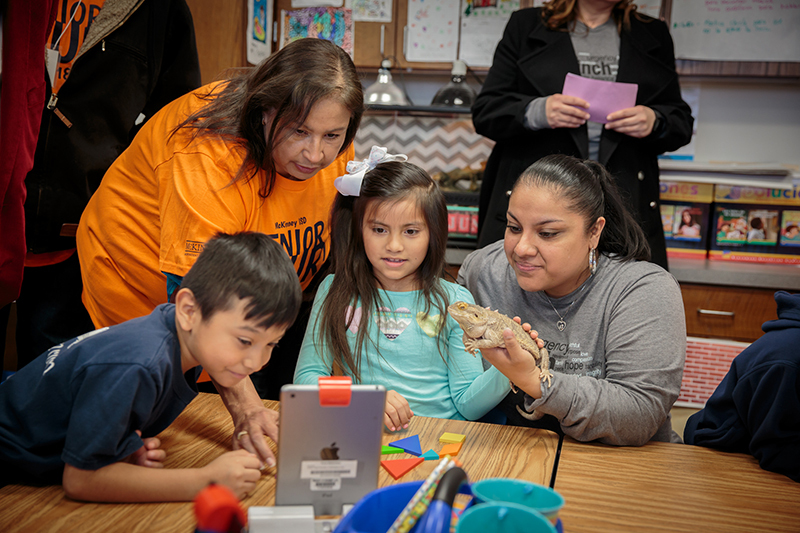 McKinney ISD Superintendent Dr. Rick McDaniel and MISD Board member Maria McKinzie were on board along with Board President Amy Dankel this year as the festive caravan made its first stop at Finch Elementary, then headed over to McKinney North High School and wrapped up the day at Scott Johnson Middle School. 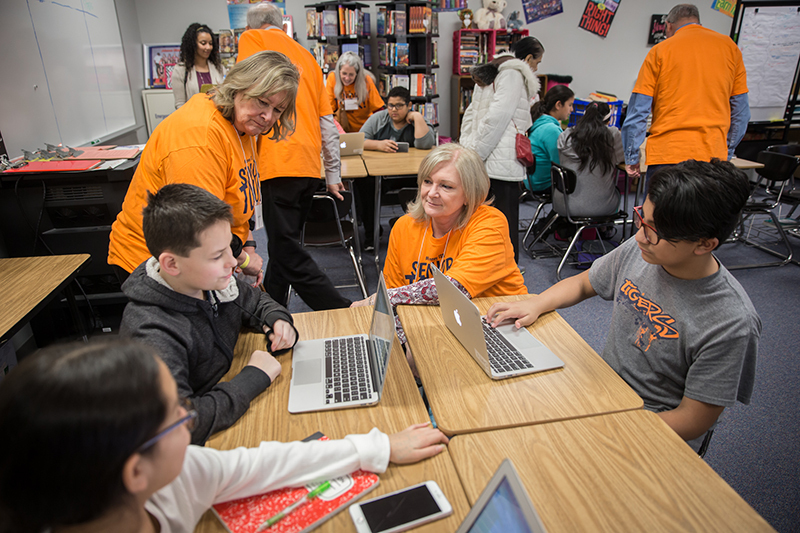 For retired McKinney ISD teacher Betty Rutledge, the tour always serves to reinforce what she already knows—that MISD kids are afforded tremendous educational opportunities, and they make great use of them. 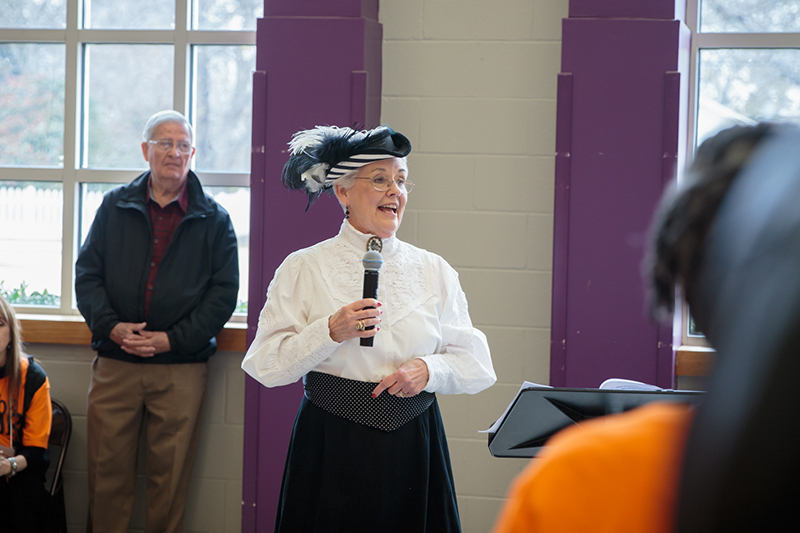 At Finch, the guests were treated to a multicultural dance presentation, received a history lesson on the school from “Fanny Finch” herself, and then followed student tour guides to various classrooms around the campus. 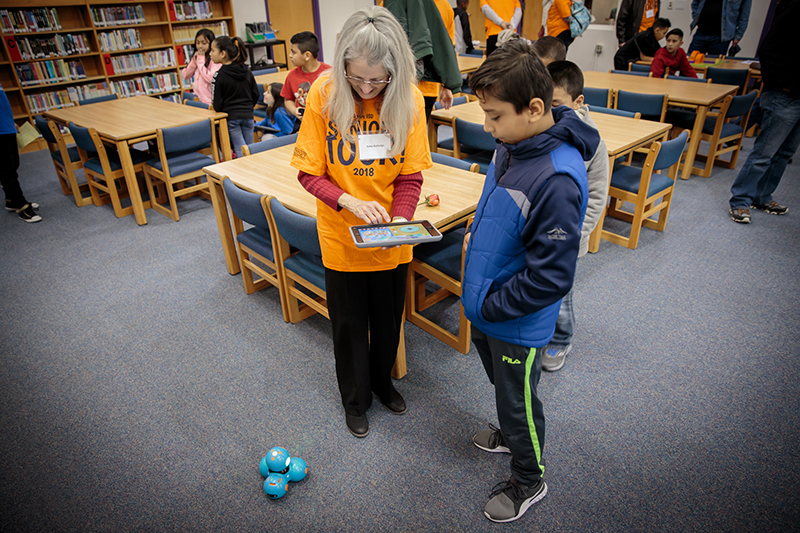 They tried out robots in the library and dove into instructional technology in other classes. The 2018 Senior Tour visits with students in the PALS class at North. 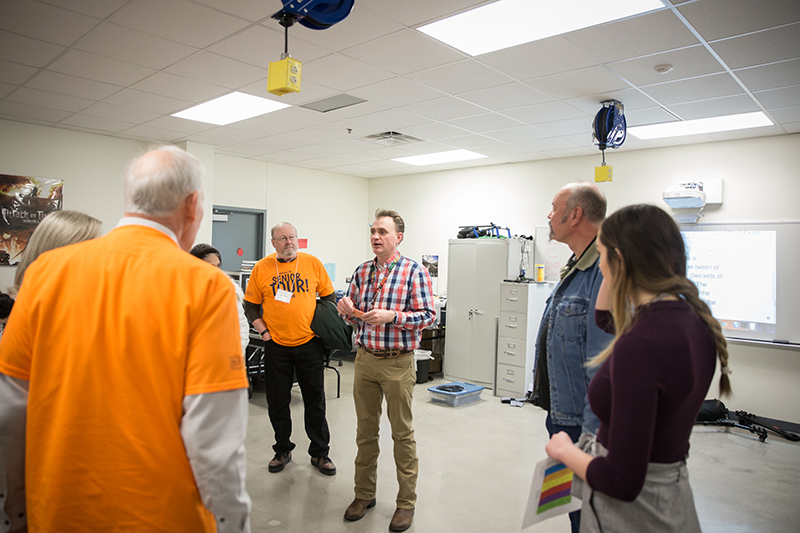 At North, they shared a catered lunch with members of the school’s Blue Blazer ambassadors and Student Council members and then visited career and technical education and elective classes in North’s expansion wing that was completed in 2016. Along the way, they checked out the aviation classroom and chatted with Coach Jessica Richards’ PALS students. 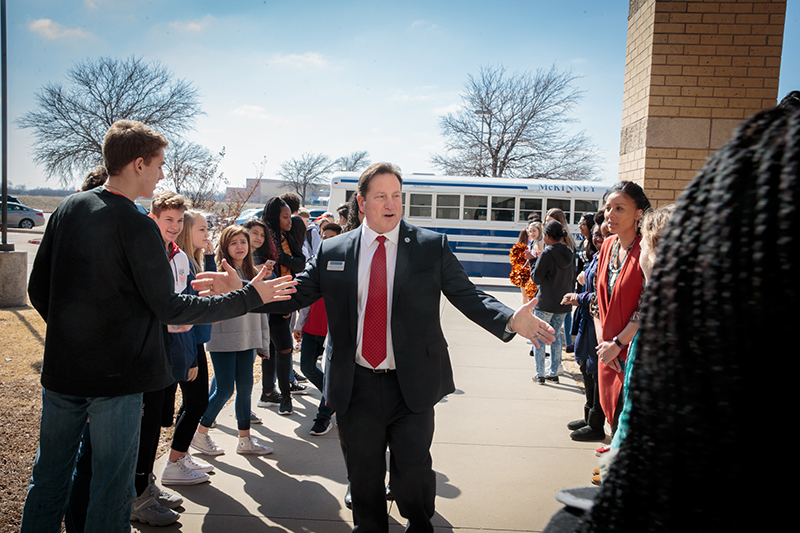 What school is like nowadays is that’s it’s different—yet the same—explained Dr. Mitch Curry at the tour’s final stop of the day, Scott Johnson Middle School. 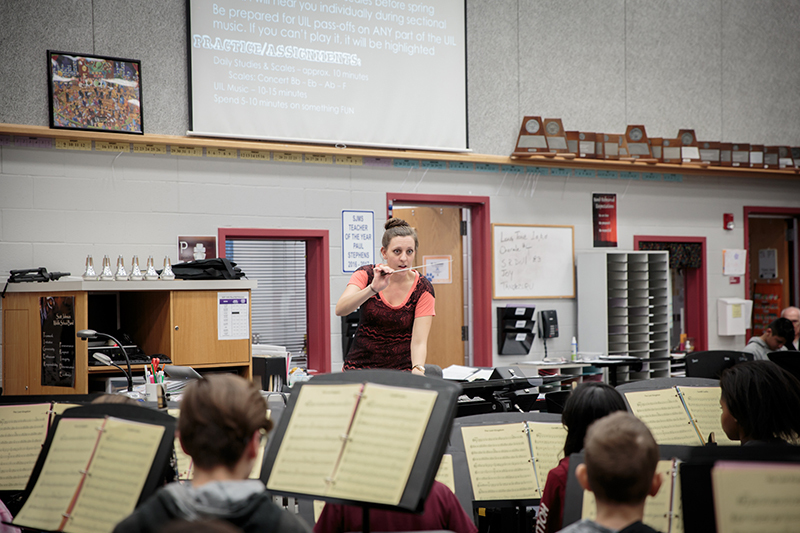 There, the tour visited choir, band and orchestra classes, observed an AVID class in action and danced alongside P.E. students in the gym. 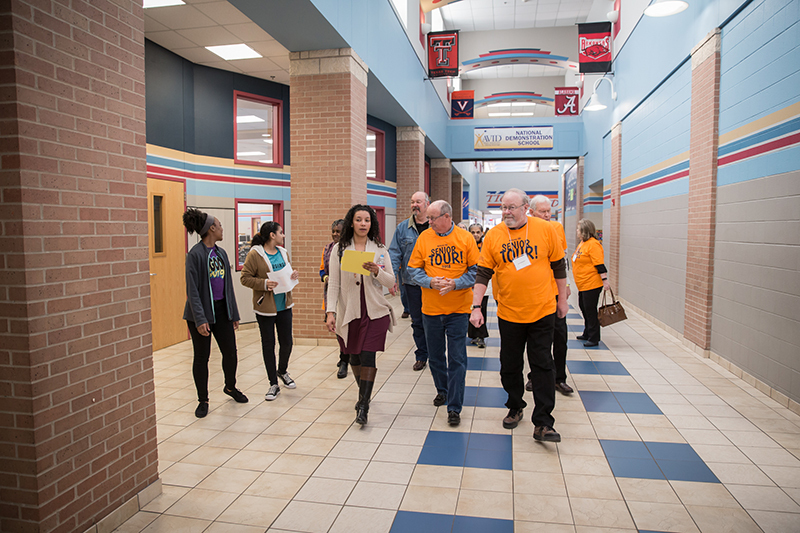 Scott Johnson Middle School welcomes the 2018 Senior Tour! 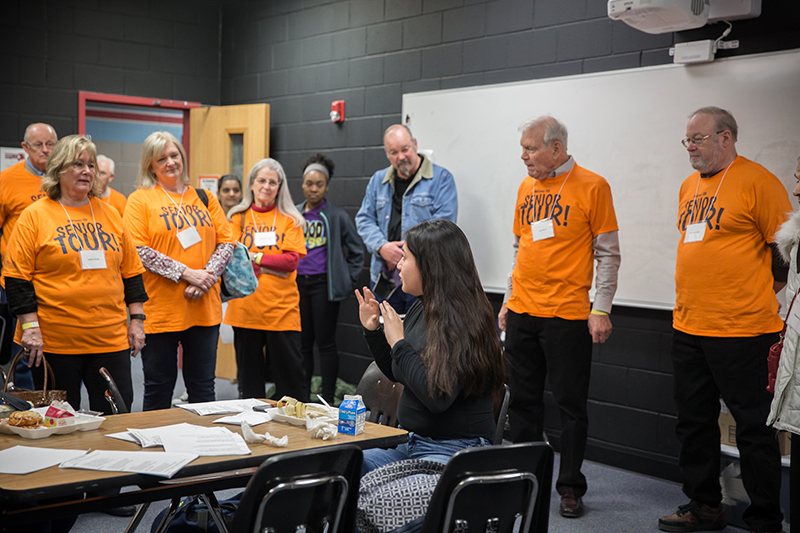 SJMS seventh-grade AVID student Ella Morrow had the opportunity to lead a group around campus and appreciated the interest they showed in her school. And, fun is a big part of what the day is all about. 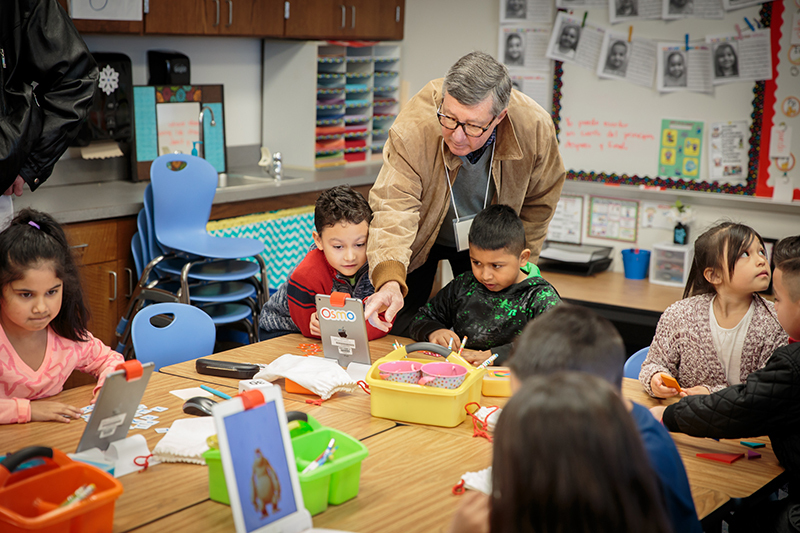 For Rutledge, who invested more than 30 years in MISD as an educator, it’s also fulfilling to see others carrying on the same mission with passion and fervor—some of them, students she once taught. 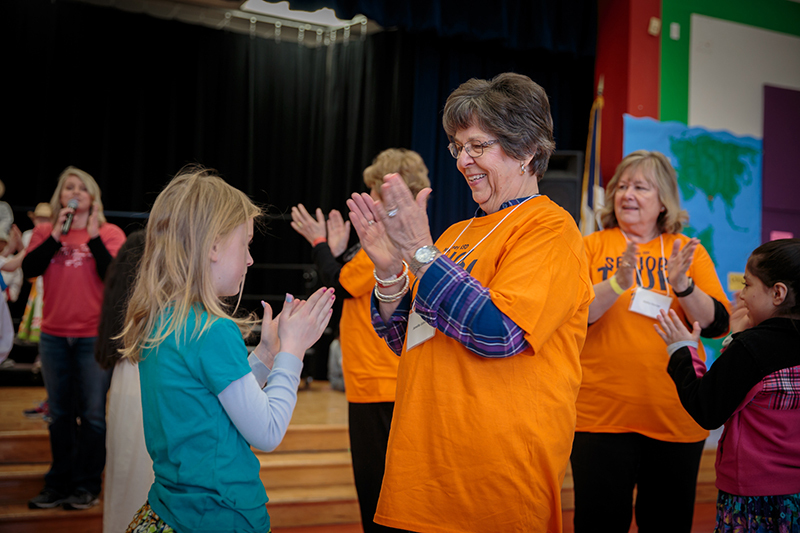 So, until next year…here are some images that capture the fun and “feel good” spirit of the day. 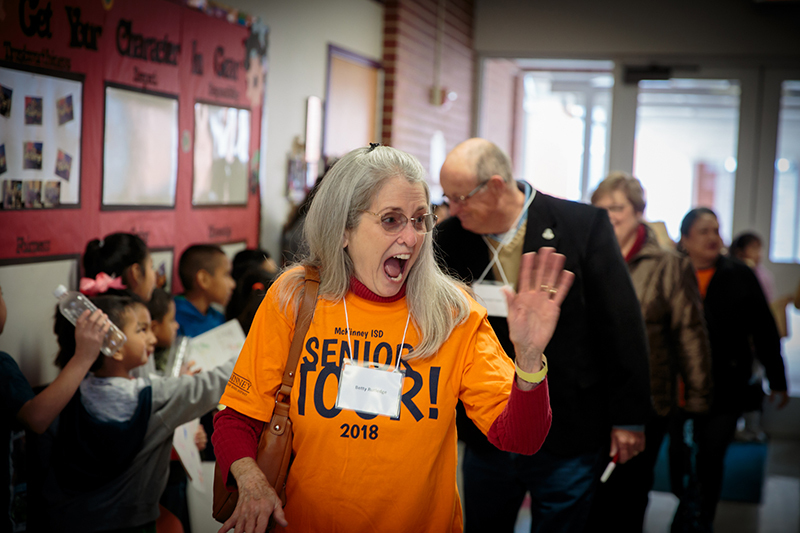 Finch Elementary welcomes the 2018 Senior Tour! 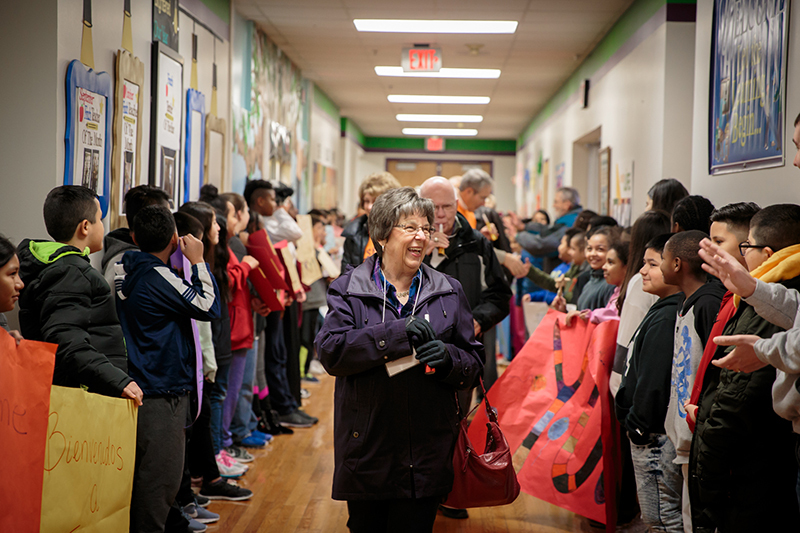 The students of Finch Elementary lined the halls in anticipation of the Senior Tour’s arrival. 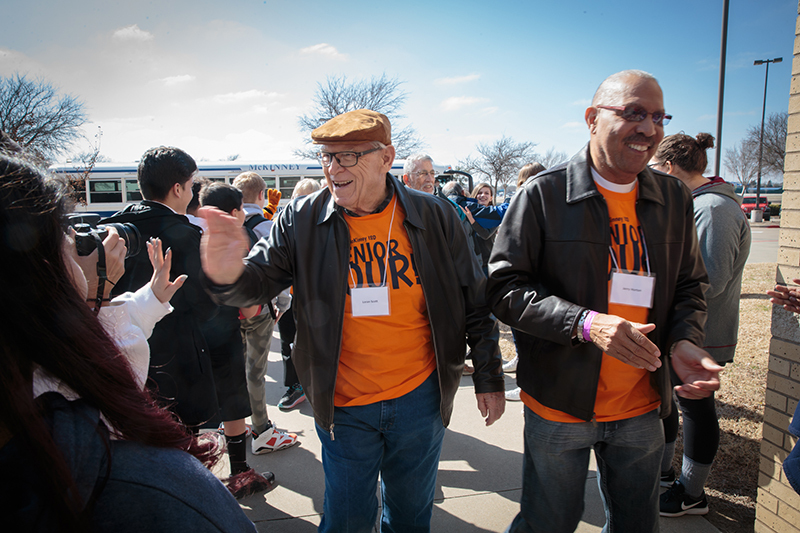 It’s all smiles as the Senior Tour arrives at Finch Elementary. 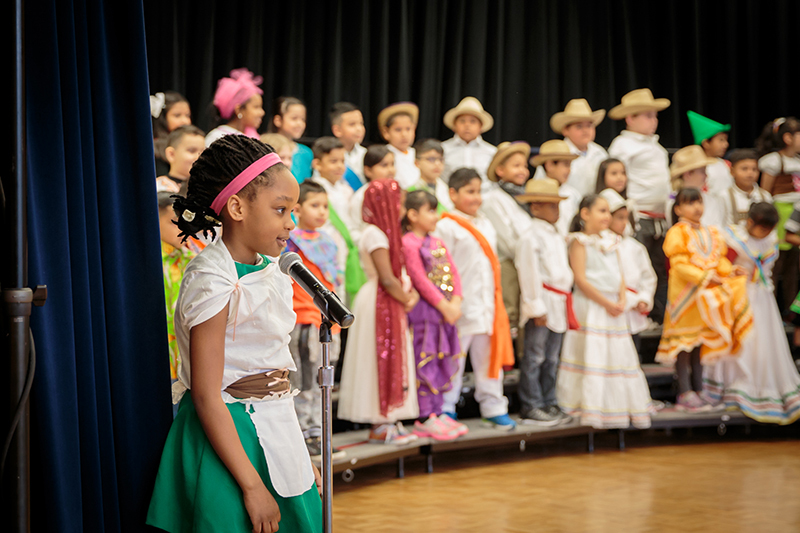 Finch second grade students presented a multicultural song and dance for the 2018 Senior Tour. 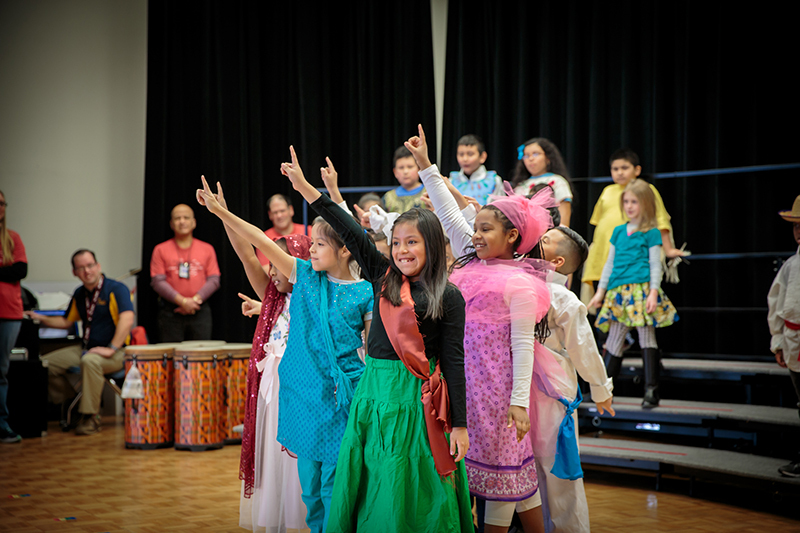 Second grade students from Finch staged an elaborate presentation of multicultural dance and song. 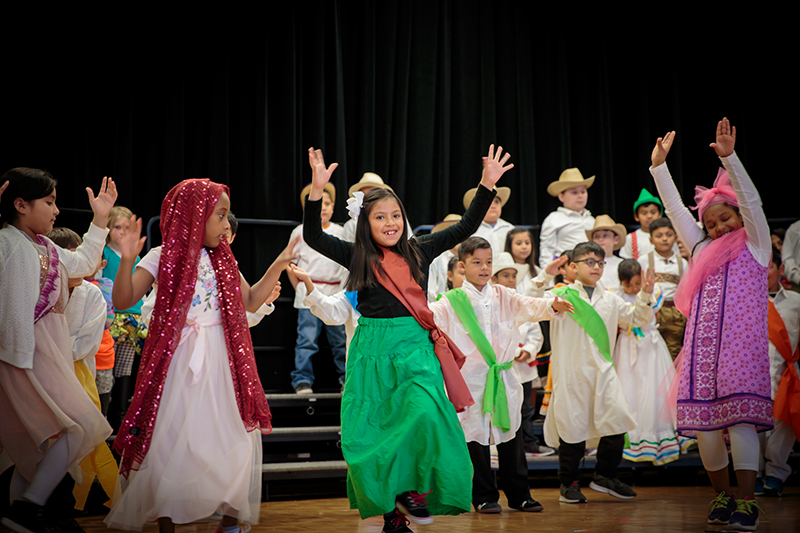 Senior Tour guests were greeted with a stage performance from the Finch second graders. 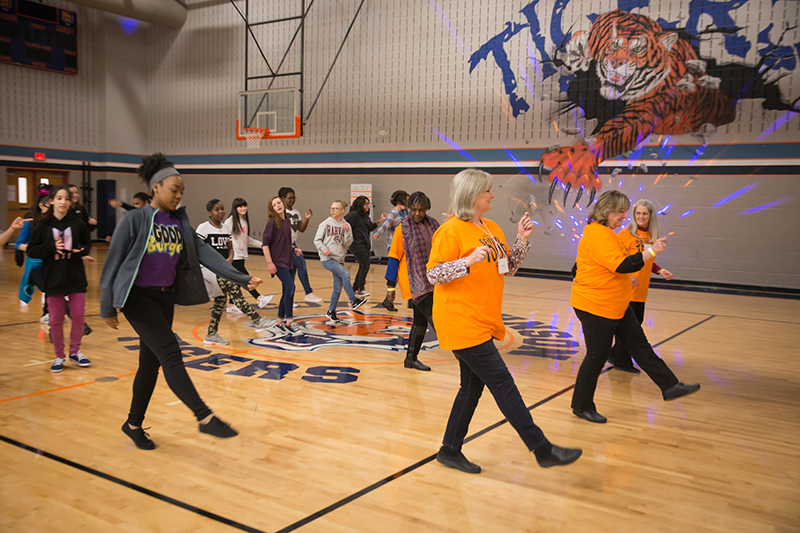 Finch students participate in a cultural dance with Senior Tour guests. “Fanny Finch” offers a brief history of the school that bears her name. Technology at work in the classroom. 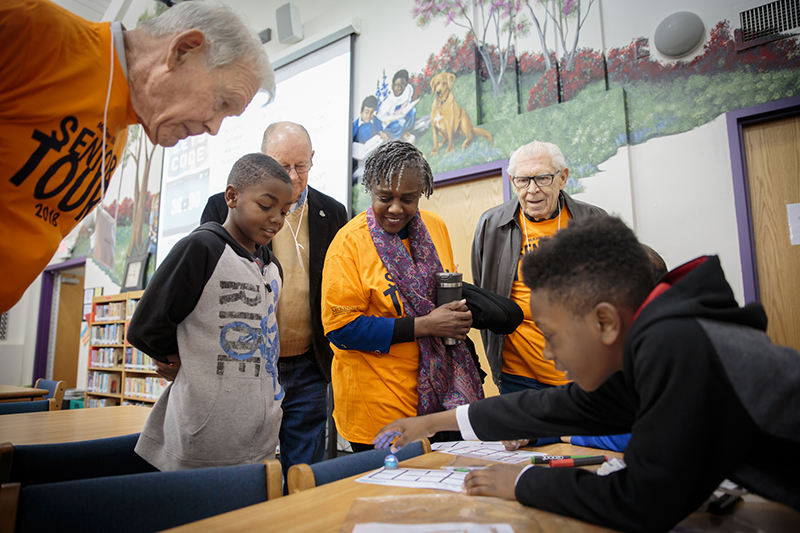 Board of Trustees member Maria McKinzie looks on as a student demonstrates a learning activity on an iPad. Robotics in the library. Some Finch students choose to spend their lunch period or recess time working with robotics in the library. 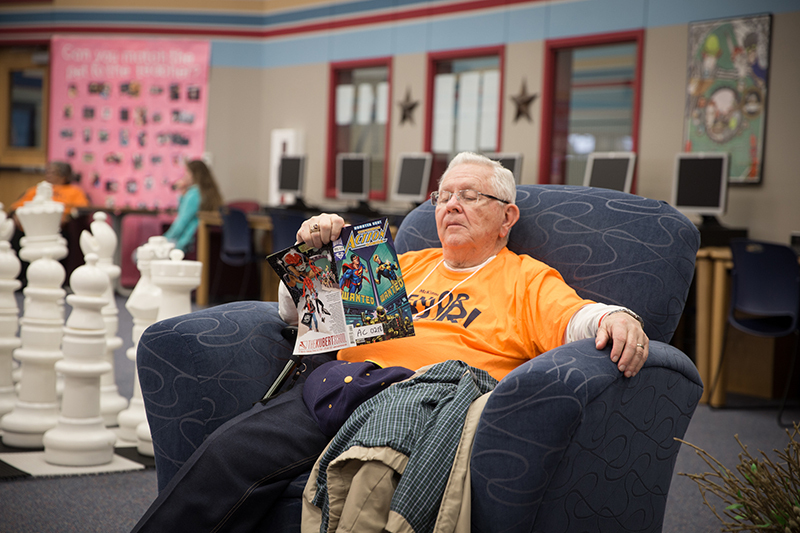 Former MISD educator Betty Rutledge tries out one of the robots in the Finch library. 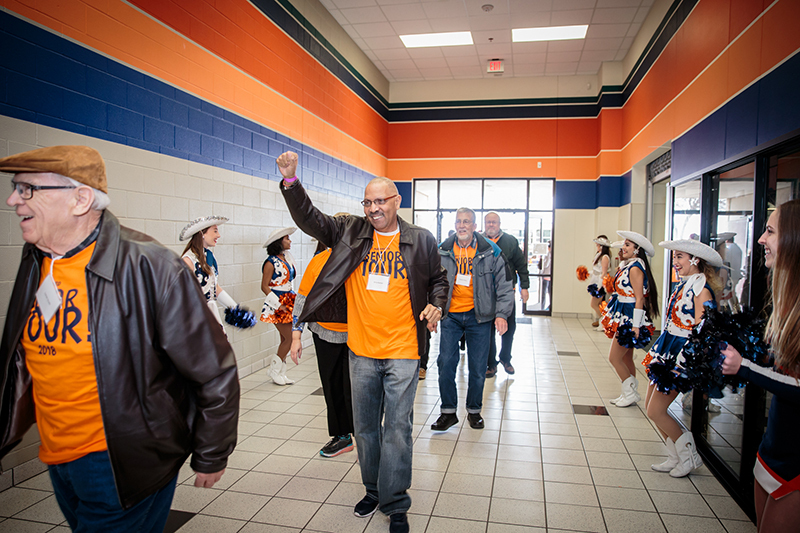 McKinney North High School welcomes the 2018 Senior Tour! 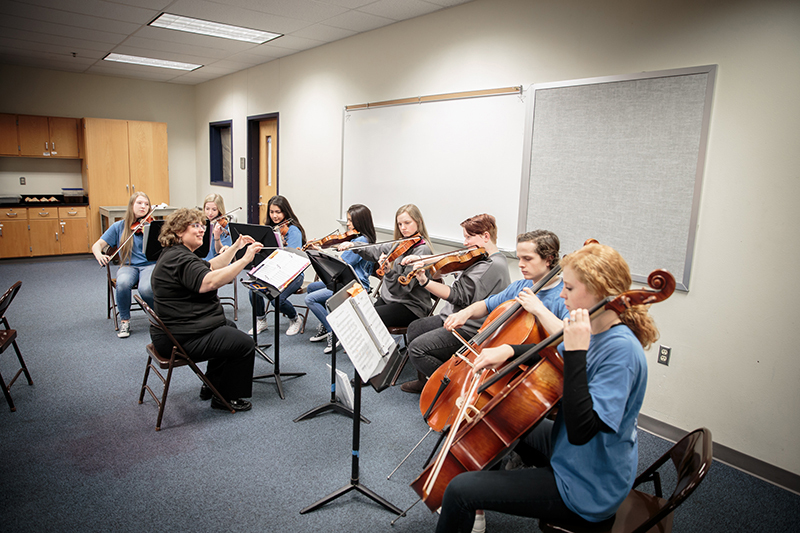 North orchestra members provided entertainment during lunch. 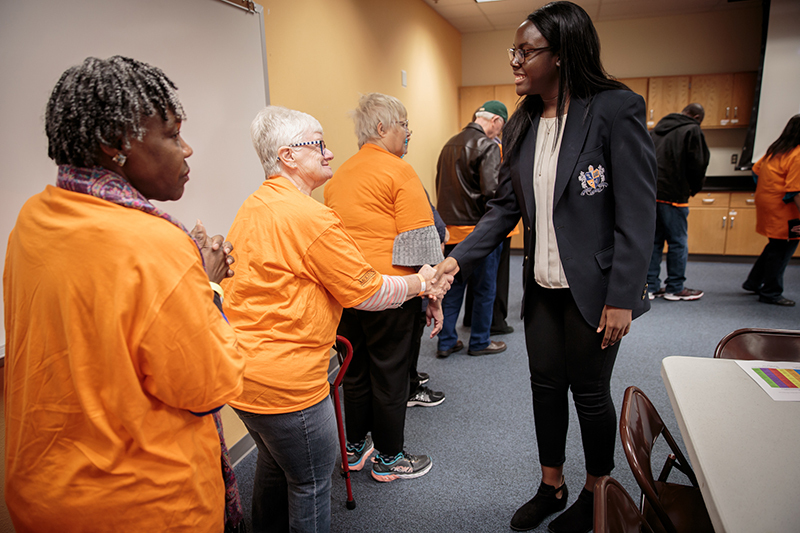 McKinney North Blue Blazers and Student Council members served as hosts for their guests. 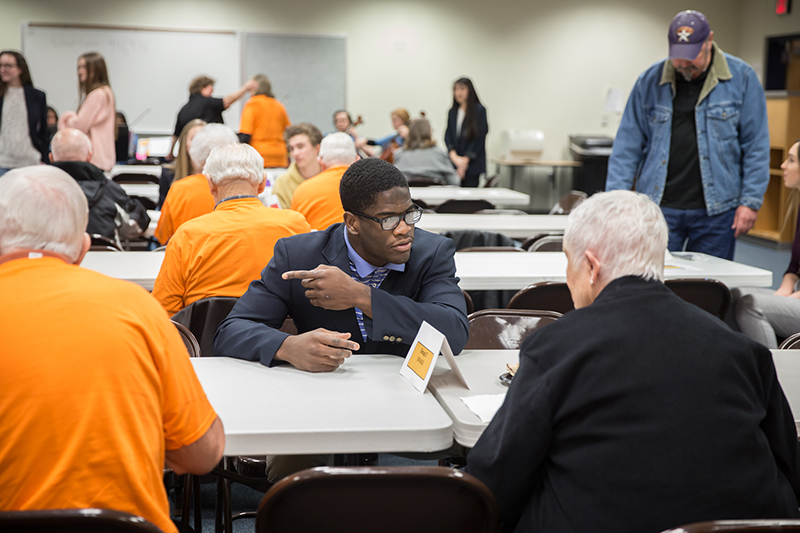 McKinney North Blue Blazers and Student Council members enjoy lunch and conversation with their guests. 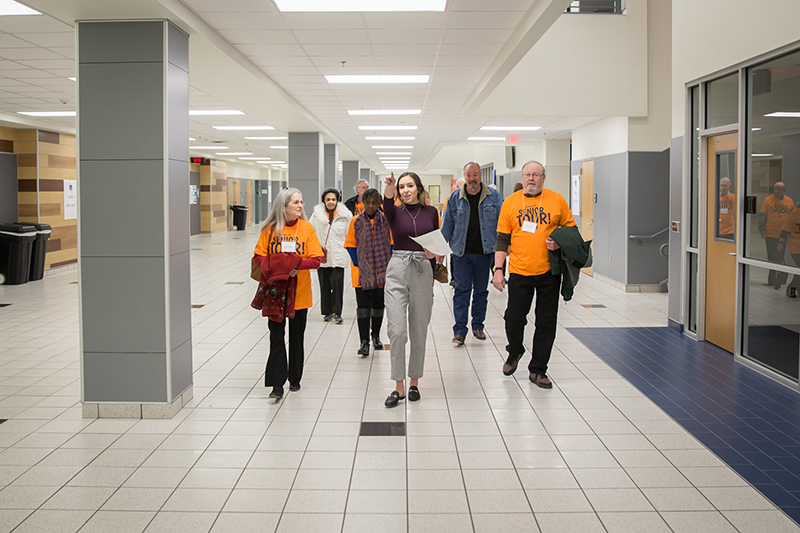 North Student Body President Annabel Martjuchin guides a Senior Tour group around campus. The 2018 Senior Tour visits the digital animation class. 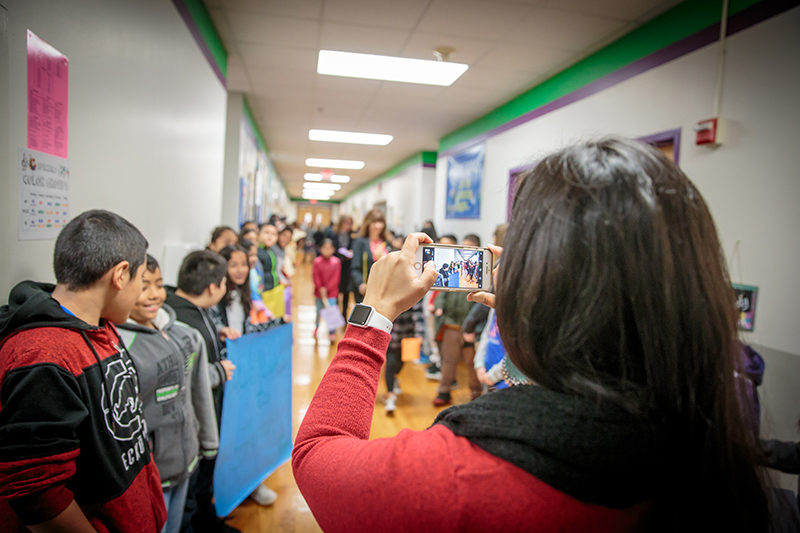 Scott Johnson Middle School students welcome their Senior Tour guests with high fives and hugs. Supt. Dr. Rick McDaniel greets students on the Senior Tour. Asst. Principal Grace Harris leads a group on the Senior Tour. The tour visits the Theatre Dept. 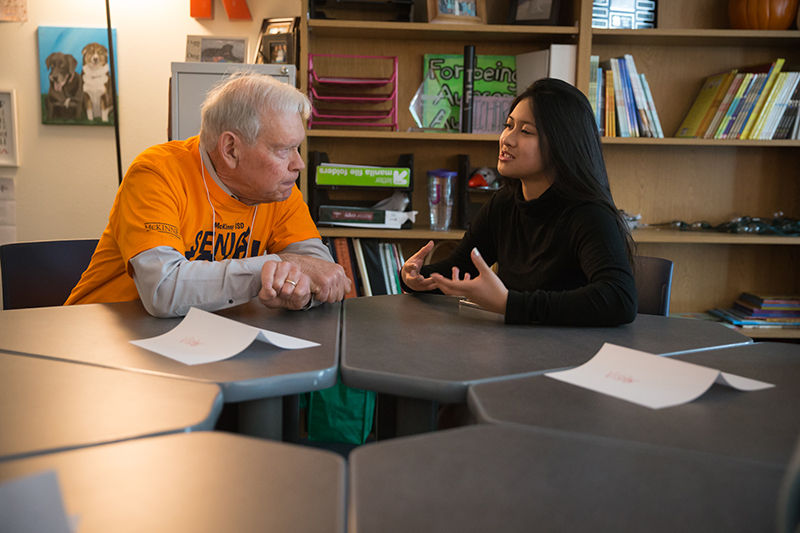 Senior Tour guests talk with students at Scott Johnson Middle School. The Tour visits the band at SJMS. 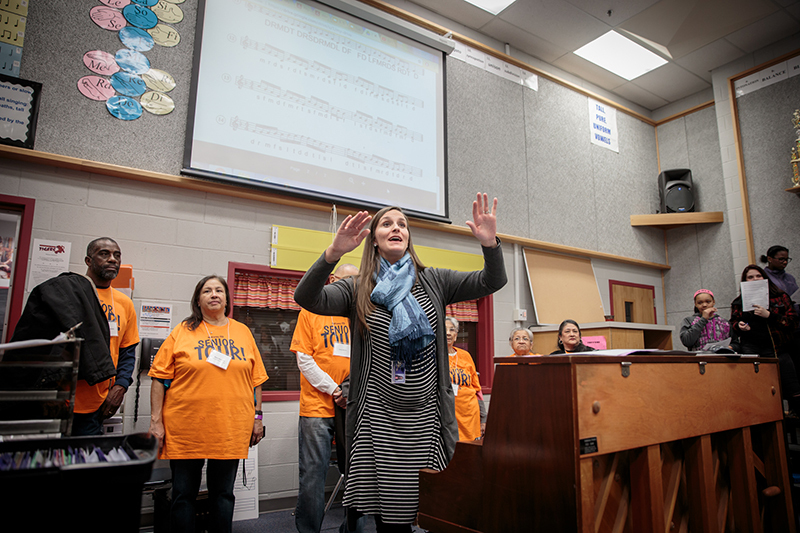 The Tour visits the choir room. MISD Board of Trustees President Amy Dankel talks with one of the Senior Tour guests. A little light reading as the 2018 Senior Tour comes to a close.